Great job, Erik! I love your new van...its the coolest ever!!! Sorry we missed you when you were in town. Yeees! Welcome to the smooth-sailing, easy loading, awesome automatic door club! So worth the switch, I think. 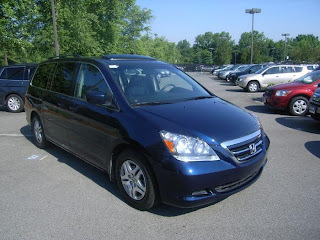 Although, Jason and I both tried hard to avoid getting a minivan; there's just no beating the convenience (not to mention side curtain air bags).